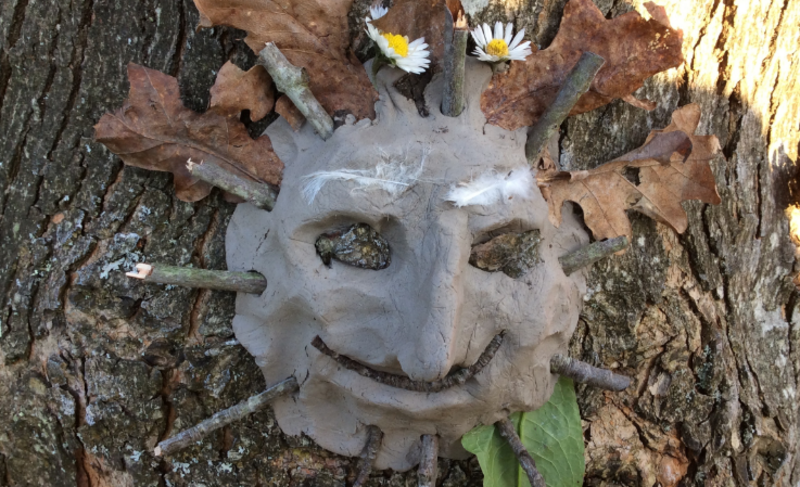 Choose a tree and create a face which suits it by flattening and shaping a lump of clay against its trunk. Find some natural resources to make the facial features (including e.g. moustache, eyebrows, eyelashes, hair, jewellery etc.) by sticking them into the clay. Invent a name for your tree character. Look at each other's tree faces and talk about their possible personalities. Give children a set list of features to include on their face and/or set shapes to achieve - see how many different ways the brief can be met. Group or individual activity - use the photos to make a story about some of tree characters.